Health care is changing. Spurred by delivery and payment reform and changing patient expectations, providers face the daily struggle of care quality while still controlling costs. New care delivery models rely on the benefits of population health management like improved quality, strong care delivery networks, good health plan relationships and better patient engagement. Unlocking value and achieving growth depends on accurate, comprehensive and actionable data. Yet health care executives often instead face data silos, patient care delivered outside the primary care system, and outcomes affected by social determinants that seem beyond a physician’s control. 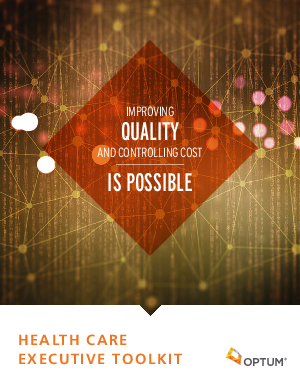 Gain actionable resources to implement immediately to improve quality while controlling costs. Discover the secrets to unlocking value and achieving growth in the modern health care landscape. Acquire valuable resources to help elevate a range of operations, from PHM to contracting to analytics.